Dear Salvation Army, The Death Of The Uniform Skirt. 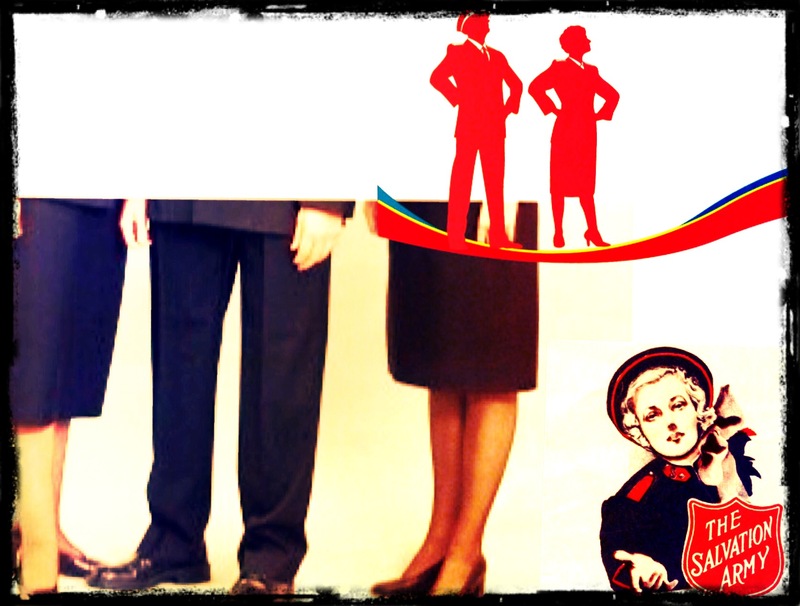 The Salvation Army’s women’s uniform has officially changed. The days of the skirt with those awkward “gasping for air” tight pantyhose is finally over. The skirt has finally gone the way of the bonnet and the high collar uniform. Some say that it is about time, while others claim this is the beginning of the end for our Army. Either way, the change in uniform policy has come, and time will tell how it will effect our army. One officer brazenly indicated that with the expiration of the uniform skirt the equality within the sexes could finally be realized. Could we be seeing all additional walls between “official” roles torn down all because of the death of the skirt? Could it have been that simple? Some would contend that officer leadership roles had already begun changing well before this uniform adjustment, but I recently sat down with a few female officers to discuss just how this new policy change will effect all gender roles within the Army. So, tell me about this new uniform policy? Looking back, what sort of rationale did you hear of in regards to why the Skirt/Panyhose and High Heels were required for “Full Uniform”? Why is this new change in uniform so important? Are there any opportunities now that you have that you didn’t while in the skirt? So I’m hearing you say there are a lot of opportunities now, do you think this effects the way others see women performing official “Officer” roles? What would you say to someone who wants to bring back the skirt or is clinging to this now obsolete uniform? Those that I talked with about this new uniform policy change seem to really like it. The impression that I got from these women was that this is a good thing, and that some gender barriers are now down (assumed or recognized) within the identity of the Army as a whole. Will this be the end of the army? I don’t think so. The Salvation Army has changed often within its 152 years, and I believe that it will certainly adapt as we move forward in the battle of saving souls and serving suffering humanity…and who knows, perhaps we will look back at this moment in our history and say “that was a minor event in this mighty army for Christ, or perhaps it will be said that this was a mighty turning point in gender equality and leadership roles. Who knows, perhaps time will tell. Previous Post Previous post:Dear Salvation Army Soldier, Don’t Forget Your Children! !